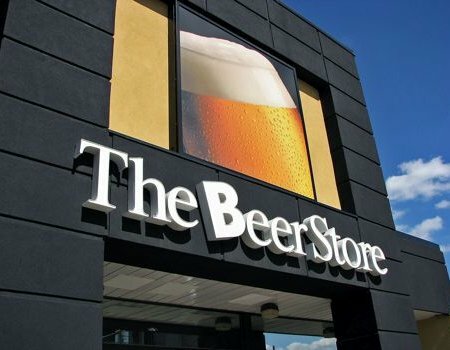 TORONTO, ON – As the public relations battle between The Beer Store and the Ontario Convenience Stores Association over Ontario beer retailing continues, a new Forum Research poll independently commissioned by QMI beer columnist Jordan St. John is being released today in an attempt to reveal the unbiased opinions of Ontarians regarding the issue. Initial details of the poll were discussed by St. John during an appearance this morning on Global TV’s The Morning Show (see video below), and the full report is due to be issued later today. 52% of Ontarians approve of the job The Beer Store does selling beer, while 28% disapprove. 48% approve of beer sales at convenience and grocery stores – versus 44% that disapprove – although if available, 70% say that they would buy beer through the new outlets. If prices were 10% higher, however, only 28% of those polled would buy in convenience and grocery stores. 62% of respondents incorrectly identify The Beer Store is being Canadian-owned, while only 22% are aware that is it owned by foreign interests. In a post on his St. John’s Wort blog, St. John gives more insight into the results, including analysis that shows younger consumers are turning away from The Beer Store in increasing numbers, and a large majority approve of adding more competition to the Ontario beer marketplace.